When a lonely boy (Barrett Oliver) discovers a fantasy book called The NeverEnding Story, he’s transported to the world of Fantasia, where a young warrior named Atreyu (Noah Hathaway) has been sent on a mission to save the kingdom’s dying empress (Tami Stronach). Soon Bastian (Oliver) learns that his participation as a reader will play an essential part in the story’s outcome, and that he must have faith in the power of his wishes. As Peary notes, this “flawed” adaptation of Michael Ende‘s popular young adult novel — which received mixed reviews upon its release — is both “imaginative” and “visually spectacular”, and contains a positive message for kids about the importance of hopes and dreams. Barrett Oliver is sympathetic and believable as a young boy devastated by the recent loss of his mother and bullied mercilessly by his classmates, who finds refuge in books and fantasy; less remarkable is Noah Hathaway as Oliver’s doppelganger warrior, who comes across as appropriately handsome and plucky yet ultimately two-dimensional. More important than the performances, however, are the film’s stunning special effects, which effectively transport viewers into a new and exciting universe: while I’m less than thrilled by the rather insipid, puppet-like dragon Atreyu rides through the skies of Fantasia, other creatures — particularly the massive Rock Biter — are truly breathtaking. The dramatic ending (clearly paving the way for a sequel) is both exciting and heartwarming. P.S. 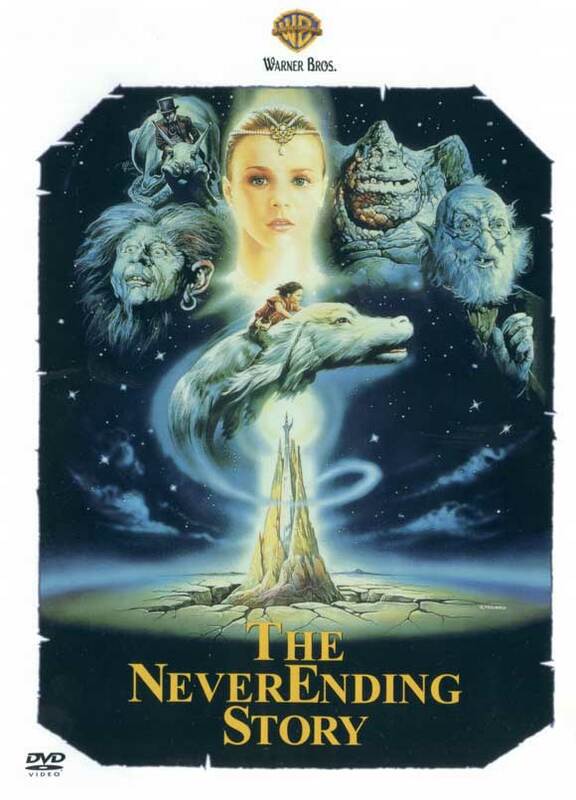 Because the film contains a number of “difficult” scenes — including Atreyu’s beloved horse dying in a Swamp of Sadness, and Atreyu being persistently pursued by a vicious werewolf — The NeverEnding Story seems most appropriate for adolescents and adults rather than young, impressionable children.